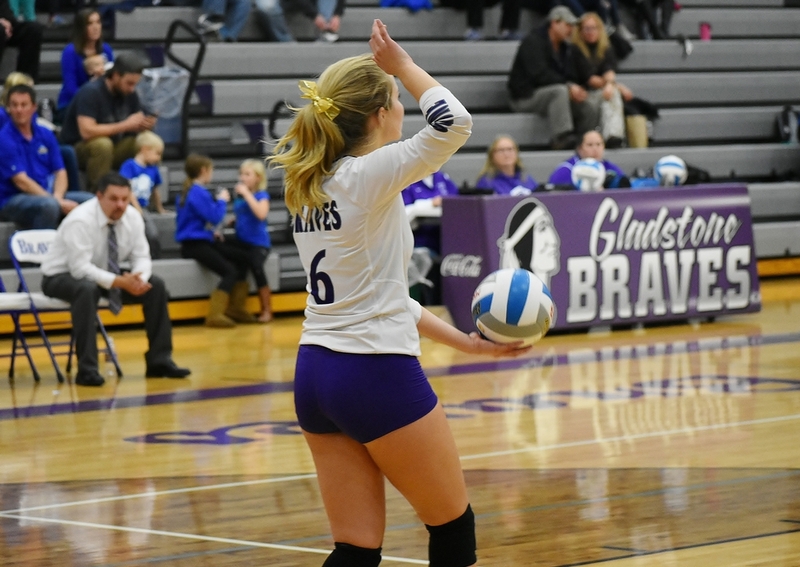 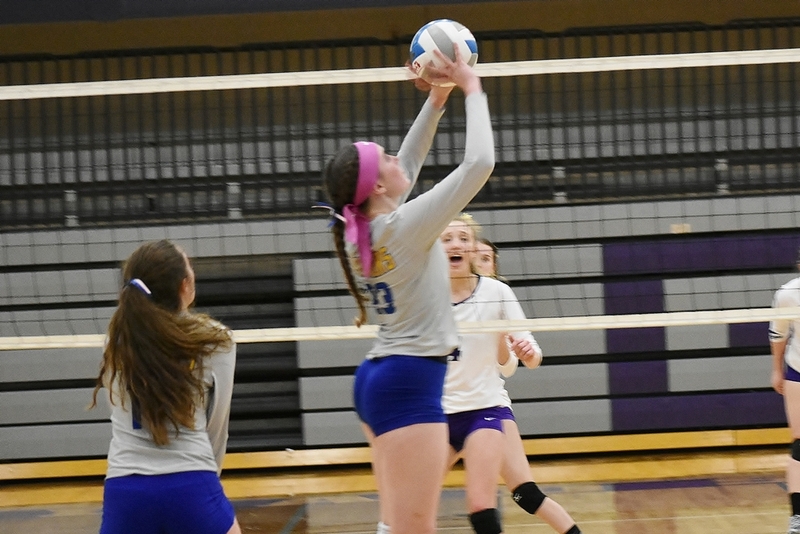 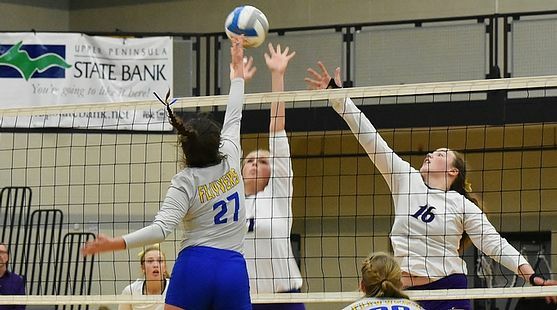 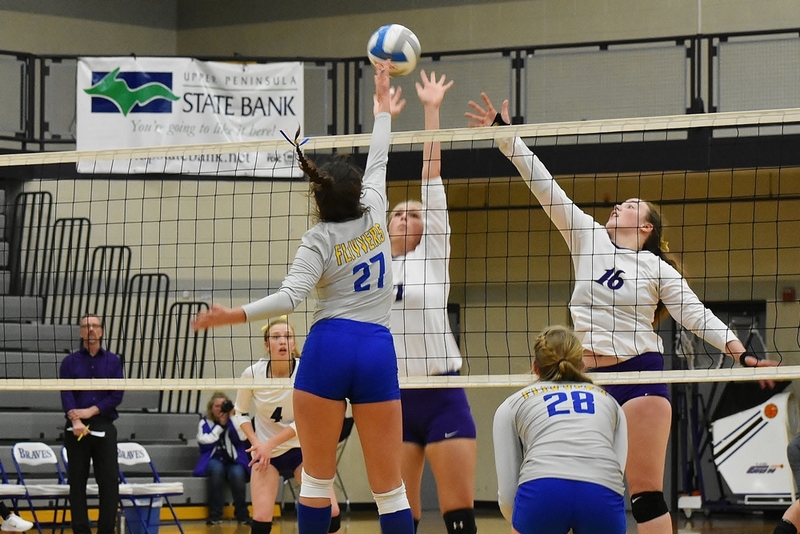 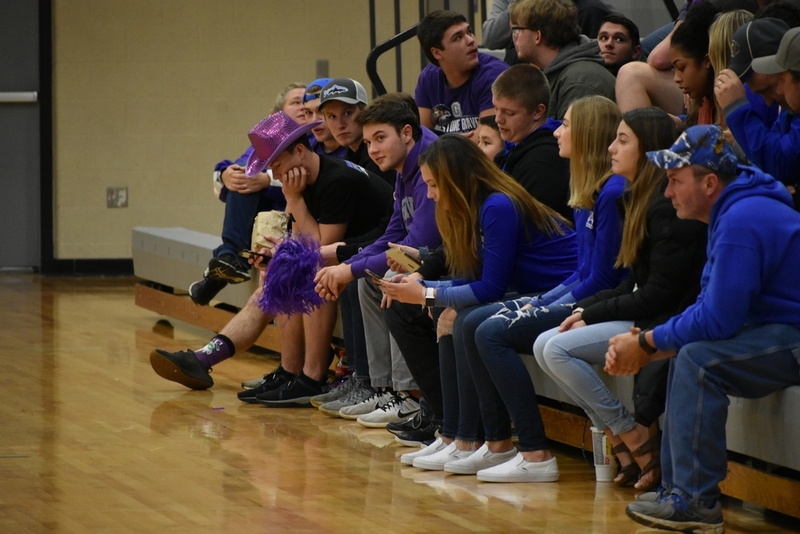 GLADSTONE---The Gladstone Braves won the first set, but the Kingsford Flivvers roared back to post a 3-1 victory in the Division Three volleyball district semifinals Tuesday night in Gladstone. 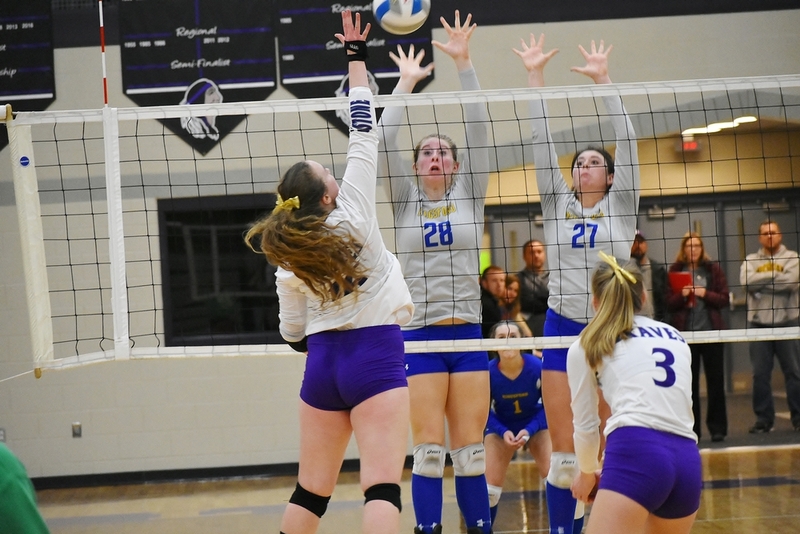 The scores were 23-25, 25-19, 25-23, 25-16. 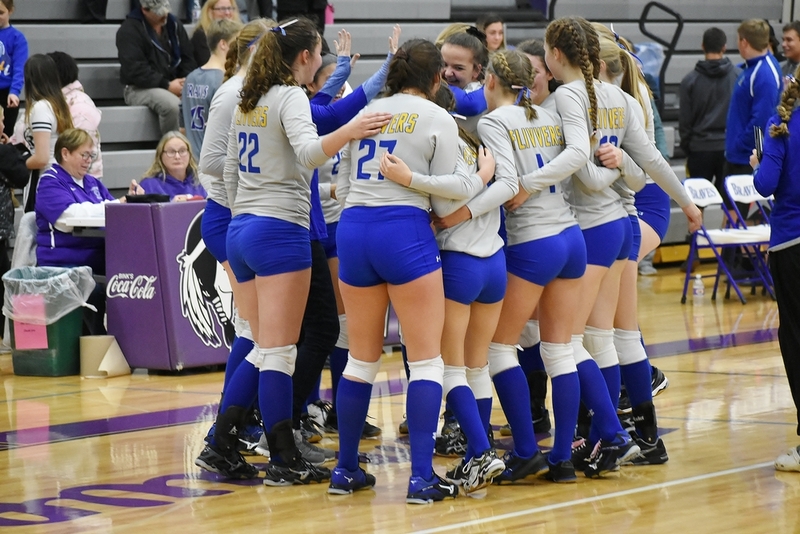 "Our girls have been working really hard, and we conditioned really hard for tonight," Kingsford Coach Madelynn Kreider said. 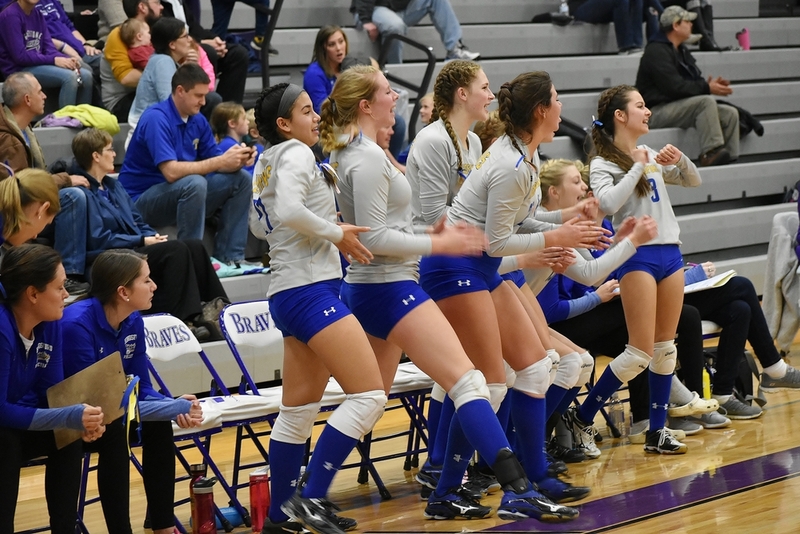 "I think a lot of that came down to that conditioning and that endurance and pushing through on those long rallies and the long sets." 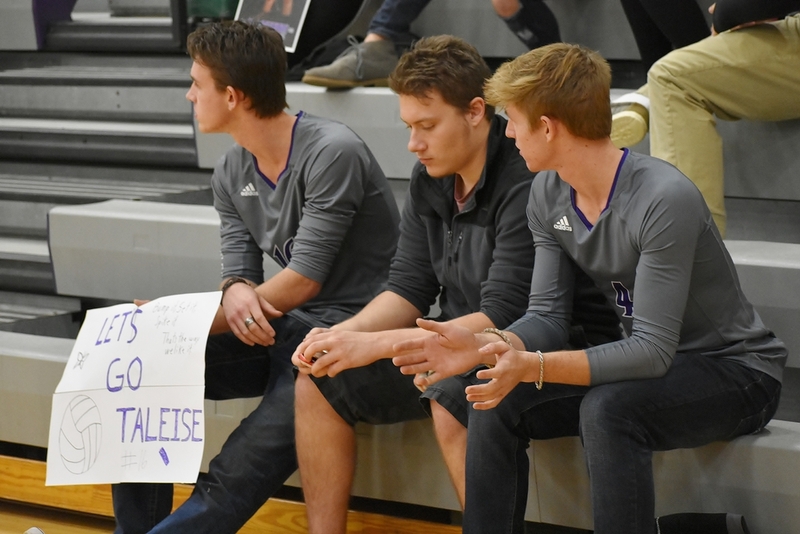 And what about losing that first set? 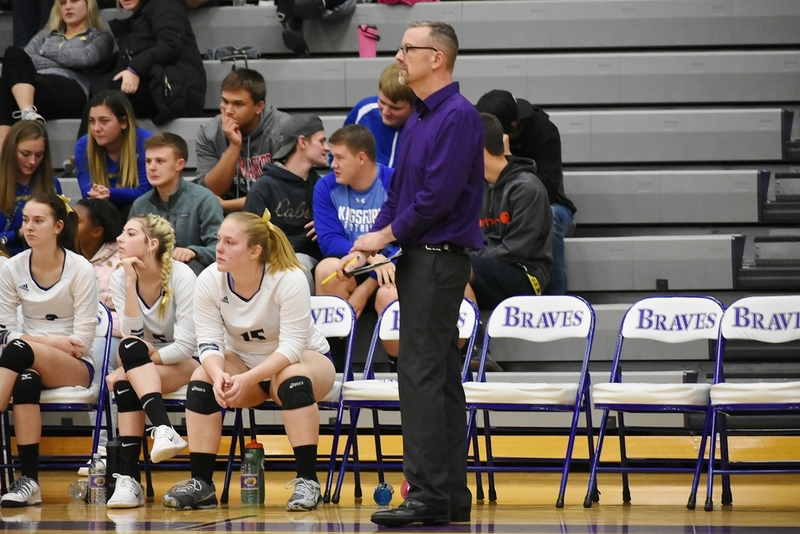 "We've been in these situations (down a set) a lot this year, so it wasn't something that we didn't have to be too worried about," Kreider said. 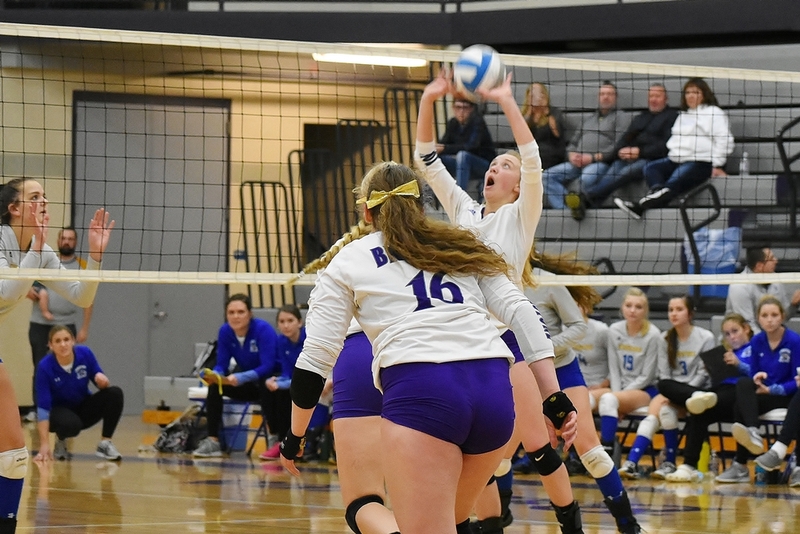 "We've been down two sets and come back to win in five. 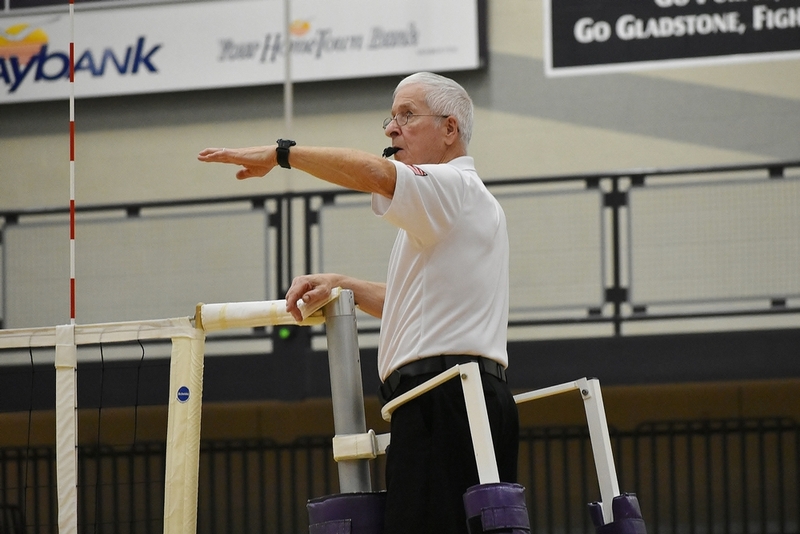 So, we knew we could come back." 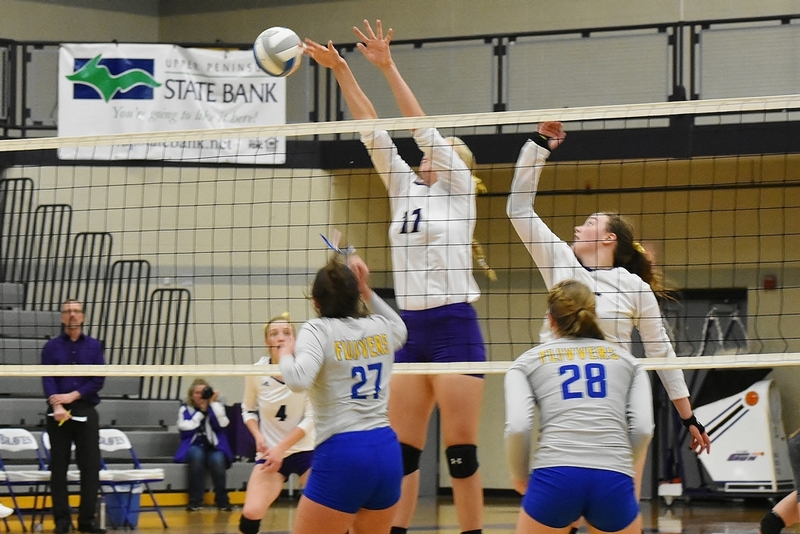 The Flivvers host either Escanaba or Houghton in the district final on Friday. 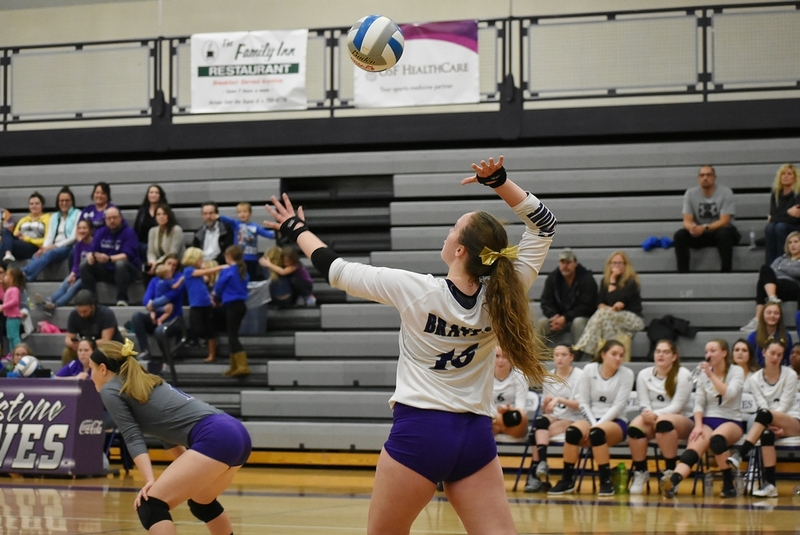 Those two teams will face off Wednesday night in Houghton. 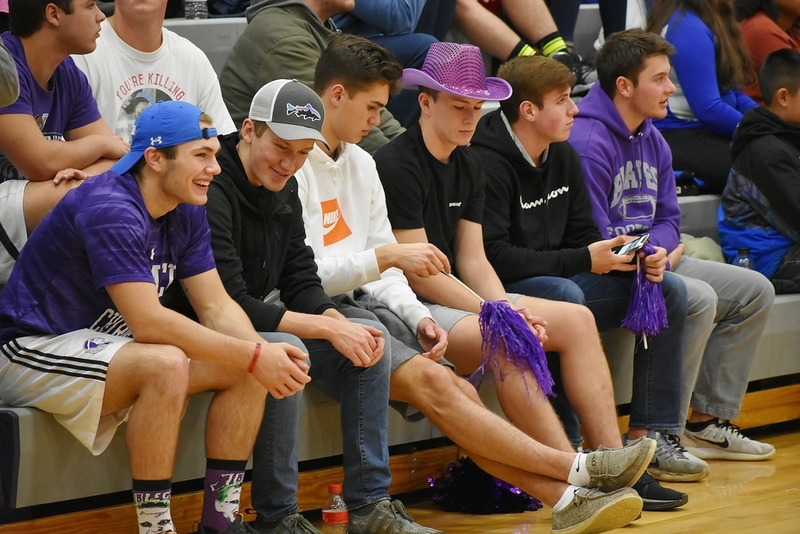 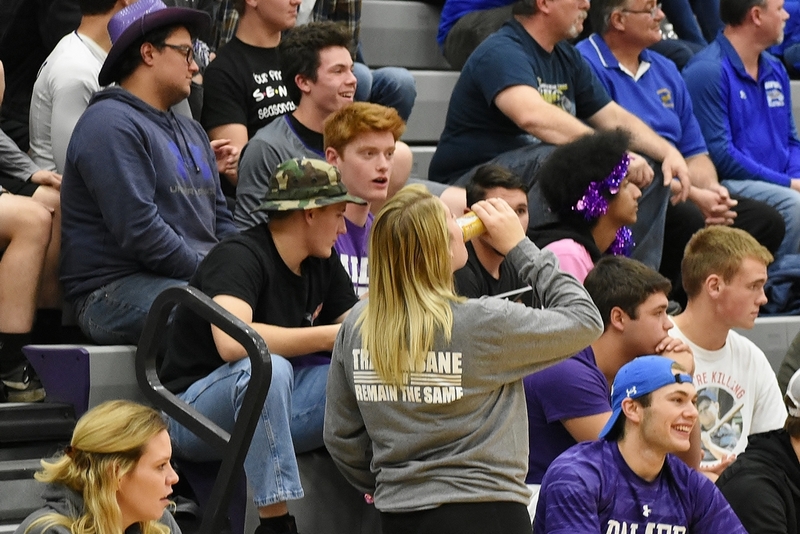 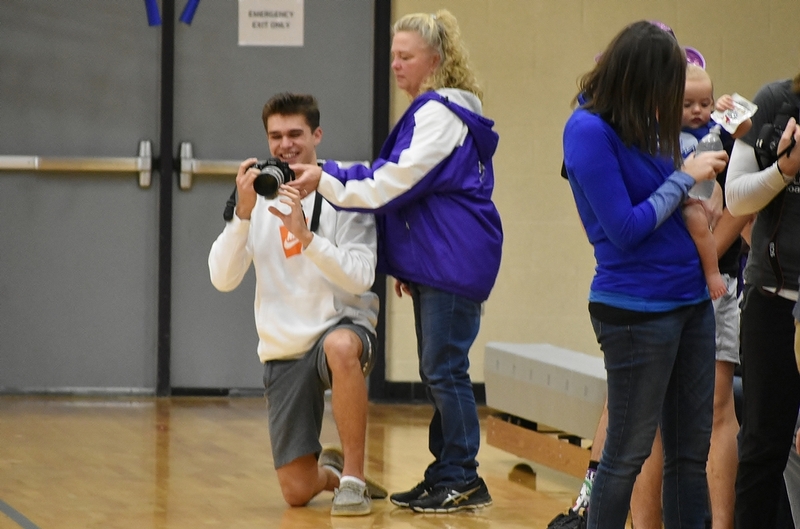 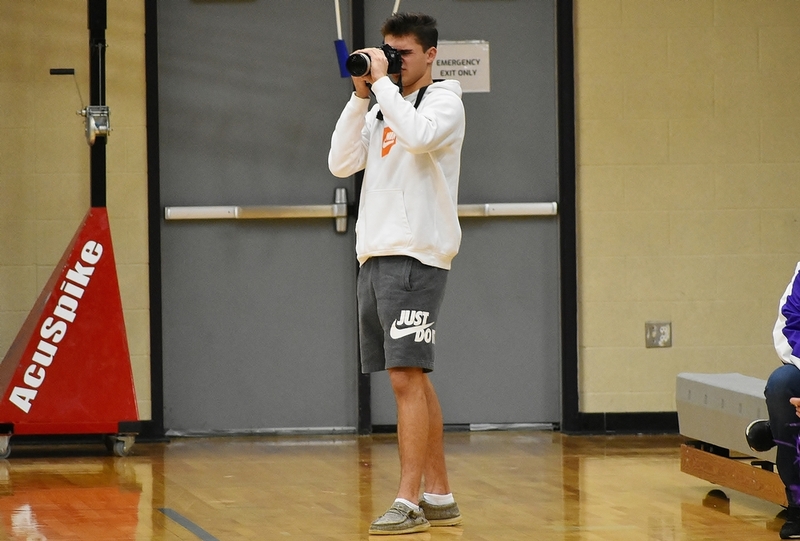 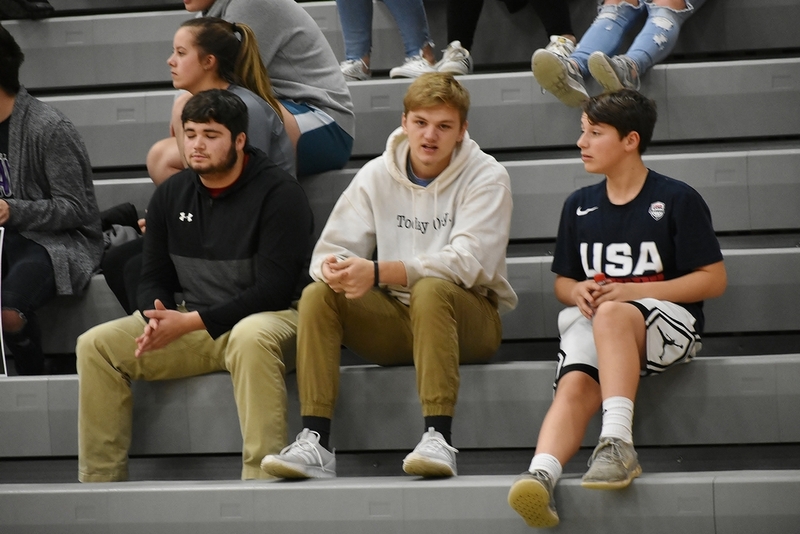 Click the thumbnails in the ARTICLE HIGHLIGHTS box above to see photos and video highlights, and hear Coach Kreider's comments.